What is Your #1 Favorite Reloading Equipment Item? Sierra Bullets asked a few hand-loaders to reveal their favorite reloading tool or accessory: “What is your favorite ‘don’t know how you ever lived without it’ piece of reloading equipment?” Some of the answers are listed below. We were interested to see some high-tech, micro-processor items mentioned, such as the AMP Annealer, and the Auto-Trickler powder dispenser. Old standbys, such as the rugged RCBS Rockchucker and Dillon 650, also made the favorites list. 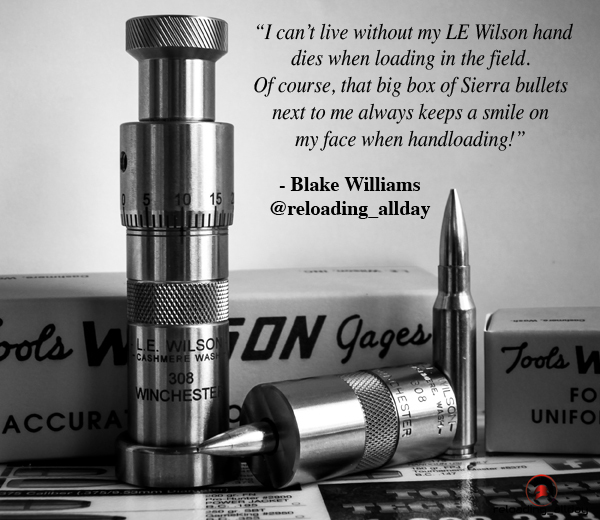 You can nominate your own favorite reloading hardware in the comments section of the Sierra Bullets Blog. Sierra Bullets Ballistic Technician Duane Siercks answered: “I don’t know that you would actually call this equipment, but the item that comes to mind would be my reloading room/shoot house. I had always had to squeeze everything into a corner or even an unheated shed. After we bought our current house, I built a garage and placed it so that I had a window looking down a 250-yard range. I built a dedicated room with heat and A/C. It contains my reloading bench and a shooting bench. The shooting bench lets me slide open the window and shoot down the range. It is very handy to not have to load everything up to go to the range. It also makes load development a lot simpler and efficient. I don’t know how I ever got along without it. Share the post "What is Your #1 Favorite Reloading Equipment Item?" When you hear the name Giraud Tool you probably think of big, heavy, bench-top motor-driven trimmers. Well Giraud also offers a handy case trimmer/chamferer that works with a power drill (or other power source). Giraud’s patent-pending Tri Way Case Trimmer is a self-contained unit powered by your drill or motor. Using a sharp carbide blade it will trim your cases to length, deburr, and cut both inside and outside chamfers — all in one pass. That’s pretty impressive for a $98.00 tool that fits in the palm of your hand. Share the post "Giraud 3-Way Trimmer Works with a Power Drill"